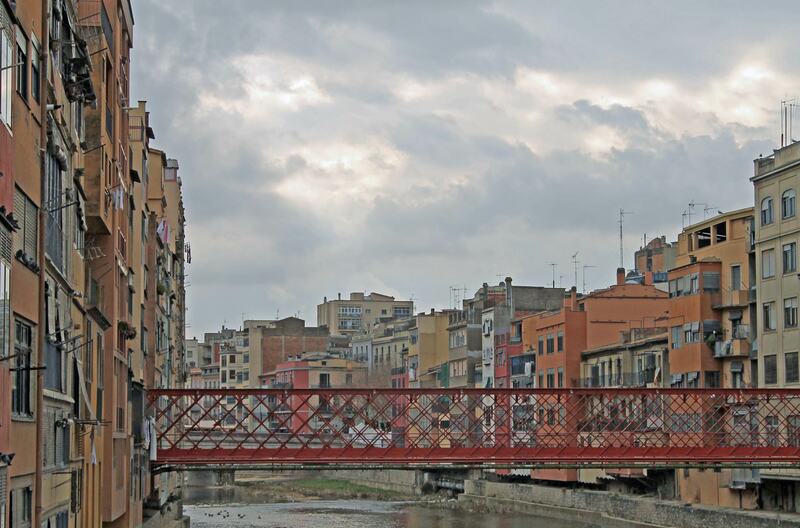 The Eiffel Bridge was constructed in Girona (Catalonia) where four rivers meet. Girona is a city in the Northeast of Catalonia, Spain at the confluence of the rivers Ter, Onyar, Galligants and Güell. This incredibly beautiful city has got eleven bridges!! The most famous is the one that was constructed by Gustave Eiffel in 1876, just before the construction of the Eiffel Tower in Paris. The Eiffel Bridge is one of Girona’s main attractions and connects La Rambla with Carrer Santa Clara (the old town with the new part of the city).